Rainbows are happy! Use these threads to spread the stitching joy. 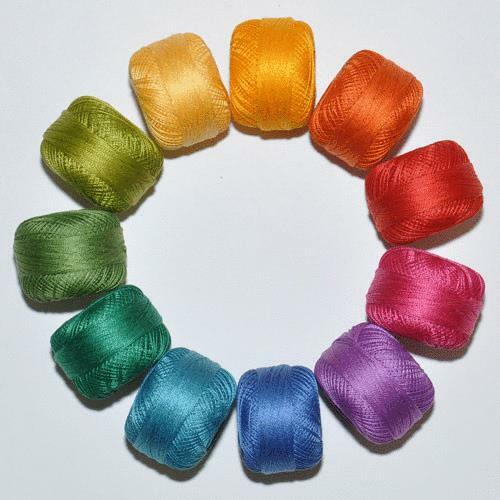 These 11 colors in the rainbow set are: #1062 yellow, #1232 yellow-orange, #7567 orange, #1490 orange-red- #2333 deep rose, #2615 orchid, #3319 blue, #3664 light-medium aqua, #4368 darker blue-green, #4561 olive, #4812 medium yellow-green.